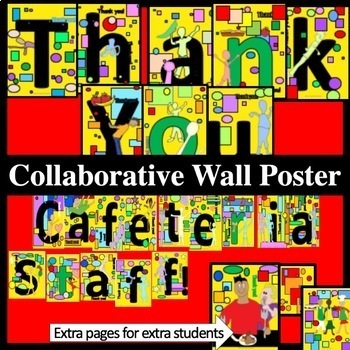 Display this student collaboration to show gratitude to the cafeteria staff! 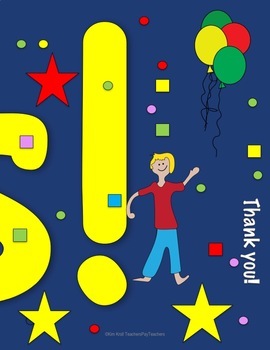 Twenty six pages total, this product has a few extra pages that can be added to the final poster (for any extra students you have). 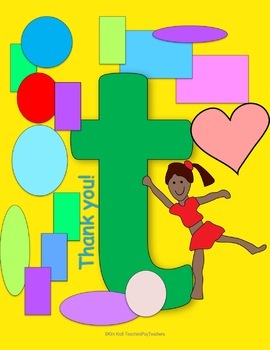 GREAT for end of the year! NO CUTTING Required. Just color and tape up! Click on the green boxed star that says “Follow” on the right side of the Kim Kroll store page to be alerted when I publish each new one. Each one, will be free for a limited time. This is an inclusive, community-building activity that promotes student collaboration. Each student colors one section of a large mosaic poster. Once all sheets are colored (NO CUTTING! ), they are assembled to reveal a large multi-colored mosaic / poster / mural.